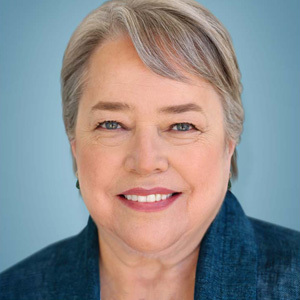 In her decades-long career, renowned actress Kathy Bates has won Golden Globes, Emmys, and many other honors. Bates began acting in her twenties, but didn't achieve national recognition until she won the best actress Oscar for Misery — when she was 42 years old! “I was told early on that because of my physique and my look, I'd probably blossom more in my middle age,” she recently told Dear Doctor magazine. “[That] has certainly been true.” So if there's one lesson we can take from her success, it might be that persistence pays off. Indeed they do. In fact, the ability to move teeth is what makes orthodontic treatment work. By applying consistent and gentle forces, the teeth can be shifted into better positions in the smile. That's called the active stage of orthodontic treatment. Once that stage is over, another begins: the retention stage. The purpose of retention is to keep that straightened smile looking as good as it did when the braces came off. And that's where the retainer comes in. There are several different kinds of retainers, but all have the same purpose: To hold the teeth in their new positions and keep them from shifting back to where they were. We sometimes say teeth have a “memory” — not literally, but in the sense that if left alone, teeth tend to migrate back to their former locations. And if you've worn orthodontic appliances, like braces or aligners, that means right back where you started before treatment. By holding the teeth in place, retainers help stabilize them in their new positions. They allow new bone and ligaments to re-form and mature around them, and give the gums time to remodel themselves. This process can take months to years to be complete. But you may not need to wear a retainer all the time: Often, removable retainers are worn 24 hours a day at first; later they are worn only at night. We will let you know what's best in your individual situation. So take a tip from Kathy Bates, star of the hit TV series American Horror Story, and wear your retainer as instructed. That's the best way to keep your straight new smile from changing back to the way it was — and to keep a bad dream from coming true. If you would like more information about orthodontic retainers, please contact us or schedule an appointment for a consultation. You can learn more about this topic in the Dear Doctor magazine articles “Why Orthodontic Retainers?” and “The Importance of Orthodontic Retainers.” The interview with Kathy Bates appears in the latest issue of Dear Doctor. Are Braces Right for You?